Sony today announced the XNV-770BT in-dash car navigation system for the U.S. market, featuring technology powered by industry leader TomTom with some of the most advanced car audio, video and navigational technologies in market today. The XNV-770BT comes pre-loaded with TomTom's extensive map database of both U.S. and Canada roads, with one free year of map upgrades provided at no incremental charge. In the U.S. alone, TomTom maps feature more than 1 million more miles of roads than other GPS brands. IQ Routes evaluates all route options based on actual traffic speeds rather than posted speed limits, and will recommend the fastest route for the time of day. Advanced Lane Guidance provides enhanced lane graphics that show which lane to take in complex multi-lane situations. Quick GPSfix automatically updates satellite locations to get the driver on their way faster. MapShare from TomTom and its enormous navigation community enables drivers to correct their maps and benefit from changes made by other drivers via your computer and the free software TomTom HOME. More than 6 million points of interest including gas stations, restaurants, hotels, hospitals and more. The XNV-770BT model is a 7-inch, fully capacitive touch motorized panel WVGA display offering one of the brightest and highest contract screens available in market today. The Sony XNV-770BT features rear USB-1 wire connectivity for simple hookup to iPod®, iPhone® and other digital music players, full Bluetooth capability and a stylish graphical user interface (GUI) that includes large, easy-touch buttons. When listening to a connected device, the music playback screen will display all song metadata and album artwork. 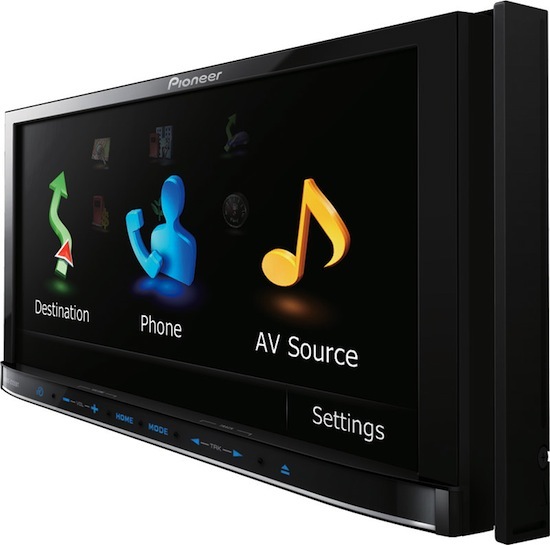 On the audio front, the new XNV-770BT features multi-channel playback with Center Speaker Organizer (CSO), creating virtual 5.1 channel surround sound throughout the car. The advanced sound engine (ASE) ensures a high-quality, digitally enhanced sound experience and allows users to customize the in-car sound field to match their tastes. Further, Sony's unique SensMe feature has the ability to automatically create custom music playlists and radio channels from a connected music library. 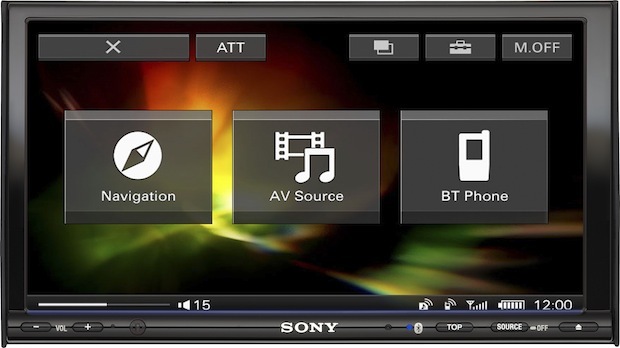 The Sony XNV-770BT A/V navigation systems will be available this November for about $1,300.